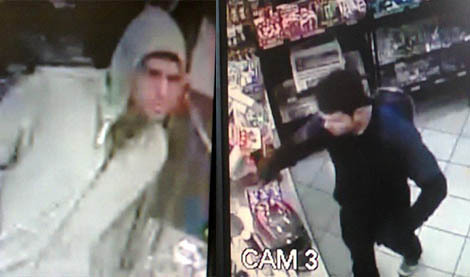 Two men wanted for stealing gas canisters from the Caltex filling station in Constantia Park at 04:30 on 17 August. Two men who were caught on CCTV cameras before making their getaway in a white Kia Picanto. The two stole 8 gas canisters in total. One man dressed in black distracted the cashiers while the other man in a grey hoodie started loading the gas bottles. The theft was reported to the Brooklyn police station, and anyone with information can phone them on 012 366 1700. Do you have more information about the story? Please send us an email to editorial@rekord.co.za or phone us on 072 435 7717.